Can’t afford to get away at all, let alone to another planet? Pick up a book. One of the best things about reading is the reader can experience strange and wonderful times, places and situations without leaving the comfort of their easy chair. In fiction, people and scenarios are invented, but some authors take escapism a step further and create entire cities, planets and universes. A creative and skilled writer can build geography, languages, races of people, musical instruments, regional cuisine, traditions and more, unlike anything we see in reality, and the detail can be impressive. Perhaps the best-known example is J.R.R. Tolkien’s Middle-earth, the fictional setting for most of his works. Populated by elves, talking trees, hobbits and more, Tolkien even included maps. When writing about Hogwarts School of Witchcraft and Wizardry, JK Rowling went so far as to invent an entire sport, with its own rules and equipment. Some authors invent not only unique worlds, but unique atmosphere to go with them. When constructing the planet of Pern (seen in the Dragonriders of Pern series), science fiction great Anne McCaffrey imagined a dangerous weather phenomenon called Thread. On Pern, Thread falls from the sky like rain, but is a deadly spore that destroys everything organic it touches, including humans. Those caught unawares risk being Threadscored or even killed. But since Pern had to be realistically inhabitable, McCaffrey combated Thread with the addition of fire-lizards and dragons, which, after chewing a specific rock called Firestone, are able to breathe fire and burn the thread before it falls low enough to endanger those on the ground. And McCaffrey is far from unique in her ability to conjure up astonishing animals. 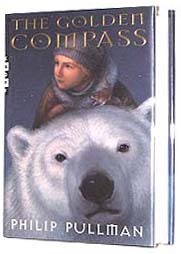 Philip Pullman’s His Dark Materials trilogy involves numerous worlds populated by talking, armored polar bears, animal representations of the human souls, nightmarish creatures called cliff-ghasts, and a fascinating species of animals called Mulefa, which have evolved the ability to use giant seedpods as wheels, increasing their speed and mobility in the world which has extensive dry lava beds to act as roads. Just to name a few. In worlds parallel to the real one, how do characters navigate from one world to the other? In the Pullman books, Will and Lyra cut windows from world to world using a magical knife. In C.S. Lewis’ famous books, the children first stumble upon Narnia by way of an old wardrobe. In Pamela Dean’s The Secret Country, the Hidden Land is revealed by accident after a fall through a hedge. L. Frank Baum’s The Wonderful Wizard of Oz sees Dorothy and Toto deposited in Oz by a wayward cyclone. It’s easier for the readers. Even without enchanted wardrobes and knives, we visit these make-believe worlds just by opening a book. From fantastic flora and fauna to weapons of mass imagination, these are some of the books that best let us step outside reality and go somewhere magic. Alice falls down the rabbit hole to find a bizarre tea party, an unusual game of croquet, a hookah-smoking caterpillar and more. On the desert planet of Arrakis, Spice is the most precious substance in existence. He who controls the Spice controls the universe. In the island archipelago of Earthsea, legend says that humans and dragons were once one race, and magic is a real part of everyday life. In The Other World, the parents with buttons for eyes seem ideal, at first - until Coraline explores and learns the sinister truth of their intentions. The book's main characters 'tesser' to the alien planet of Camazotz, which is shadowed by The Black Thing, and has become a dark planet steeped in fear. Middle-earth is a vast and complicated place, with as many dangers, brutal terrain and evil forces as magic, wonder and creatures that defy belief. The illustrious planet of Magrathea is home to the now-defunct society of builders who created luxury planets for the ultra-rich of the universe. B612 is an asteroid roughly the size of a house, and is home to three volcanoes and a number of Baobab trees which threaten to overwhelm it. Discworld is flat, so yes, there is an edge one can fall from. It is balanced on the back of four elephants. The elephants stand atop an enormous turtle. Neverland is an island in the minds of children where children don't have to grow up. It is reached through flight via happy thoughts. After a cyclone lifts Dorothy's house (with her and Toto the dog inside), she finds herself in Oz - land of munchkins, witches and flying monkey slaves. Alagaësia is a mountainous and highly-forested continent where one can find creatures like shades, elves, werecats, urgals and the very occasional dragon. The Hidden Land is the mystical realm physically manifested by the game played by five young cousins. In it are witches, a magic ring, and frustrating unicorns. In the fantastic world of Xanth, one can find centaurs, mermaids, nymphs, curse fiends and more, and every human is born with a unique magical gift. Narnia is a magical land created by the revered lion Aslan. Its inhabitants include animals (many talking), dryads, centaurs and other mythical creatures. In the wizarding world, sports are played flying on broomsticks, the forest is full of talking spiders, mandrake roots scream, and one can learn to ride a Hippogriff. Fionavar is the first of all worlds. It is home to gods, demigods and myriad supernatural beings, including the weaver, who creates the tapestry of all stories. Visitors to the city of Lankhmar in the ancient world of Nehwon: beware of thieves, corruption, bandits, smugglers. Have a drink at the Silver Eel Tavern. A bored little boy named Milo takes a trip to The Kingdom of Wisdom by way of a toy car and a magic tollbooth, and suddenly finds the world fascinating. In the magical story world of Kahani, the ocean is becoming polluted by sadness, tangling the story streams and making the world unhappy and frightening. The Land is home to numerous races of sentient beings, cave-dwellers, parasites, the half-human merewives, and the monstrous, partially-formed Soft Ones. The people of Corus, capital city of Tortall range from knights and noble-borns to peasants and farmers, to sorcerers - and their enemies. The futuristic planet of Riverworld is covered in lush vegetation but has no visible moon, or animals besides fish and worms - until the resurrection of humans. The continent of Westeros is populated by humans, giants, lizard-lions, direwolves and more. It also has unpredictable, irregular seasons, lasting indeterminately. Barsoom is a wild frontier planet, loosely based on the real planet of Mars.The terrain is desert and dry seas, and its inhabitants are Earthlings and natives of Barsoom. What's the best out of this world book you've read?